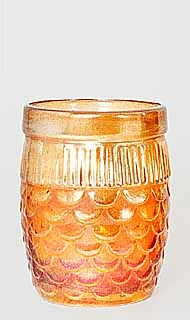 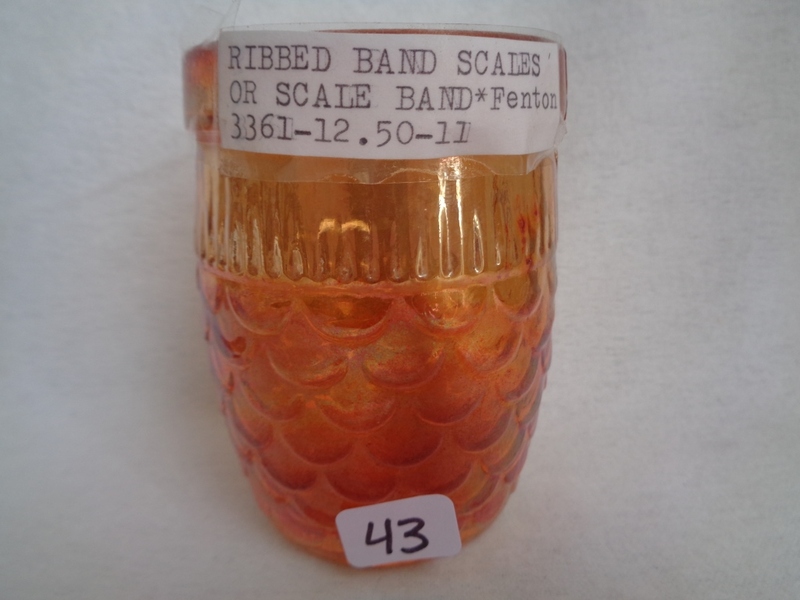 The first known example of this pattern was the above marigold tumbler found by the late John Britt who gave it its name. 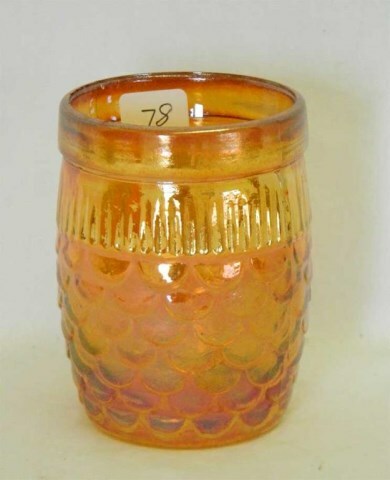 It is rather small, just 3 1/2 inches tall and a 2-inch base. 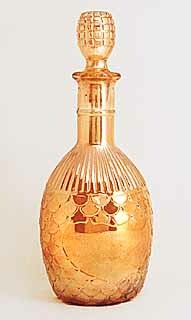 The letters “N.C.P.” are molded into the slightly domed base. 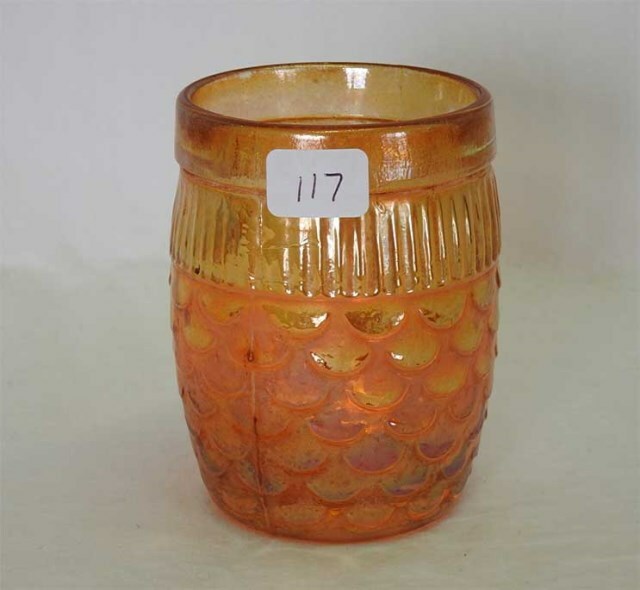 One example sold at a 1999 auction for $110, two more in 2000 for $125 and $155. 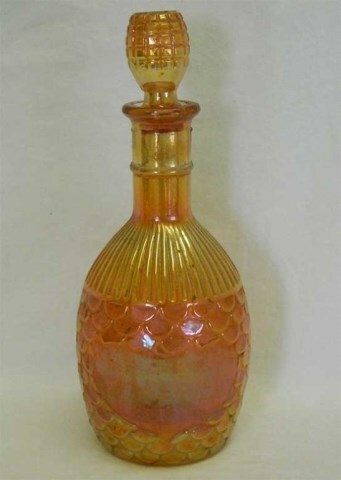 The decanter, which also has the initials “N.C.P.,” sold in 2001 for $110. 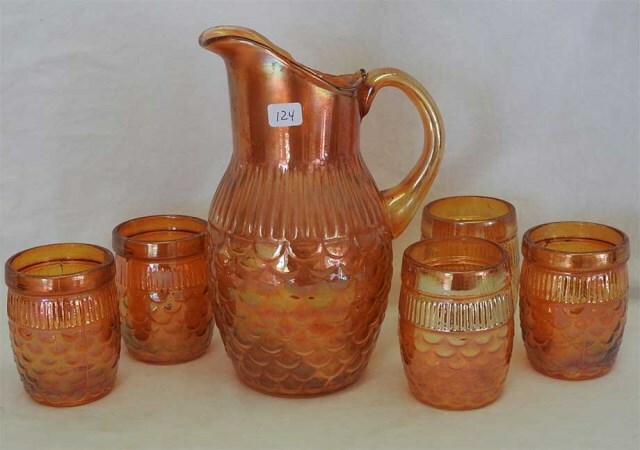 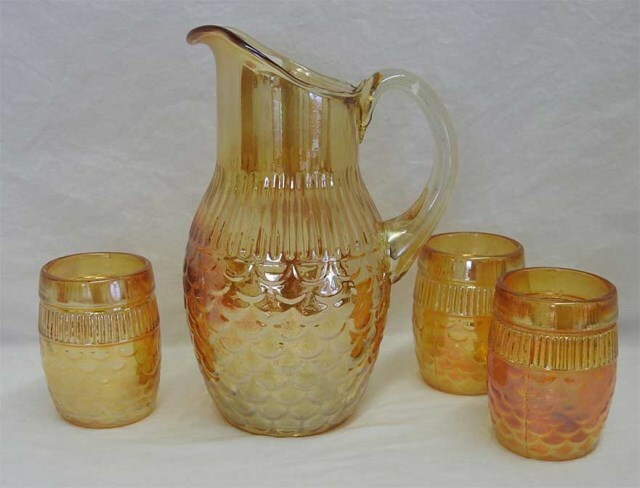 A marigold 5-piece water set sold in 2005 for $425.